Richard James Allen is an Australian born poet whose writing has appeared widely in journals, anthologies, and online over many years. His latest volume of poetry, The short story of you and I, is published by UWA Publishing (uwap.com.au). 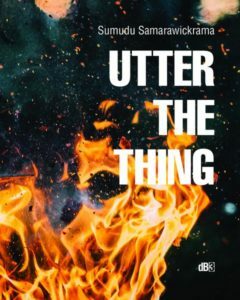 Previous critically acclaimed books of poetry, fiction and performance texts include Fixing the Broken Nightingale (Flying Island Books), The Kamikaze Mind (Brandl & Schlesinger) and Thursday’s Fictions (Five Islands Press), shortlisted for the Kenneth Slessor Prize for Poetry. 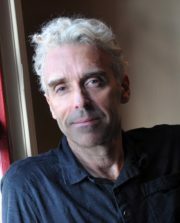 Former Artistic Director of the Poets Union Inc., and director of the inaugural Australian Poetry Festival, Richard also co-edited the landmark anthology, Performing the Unnameable: An Anthology of Australian Performance Texts (Currency Press/RealTime). Richard is well known for his innovative adaptations and interactions of poetry and other media, including collaborations with artists in dance, film, theatre, music and a range of new media platforms. since we first made love. that unfurl as perfect wisdoms. but it only begins there. we can be happy with something else.